Seydou Fati is a community health worker who knows a lot about mosquitoes. She knows what they sound like, what they look like and when they like to strike. She also knows that each year, thousands of people die from malaria—a disease spread by a mosquito’s bite—and that young children in Africa are the most affected. But these deaths don’t have to happen. 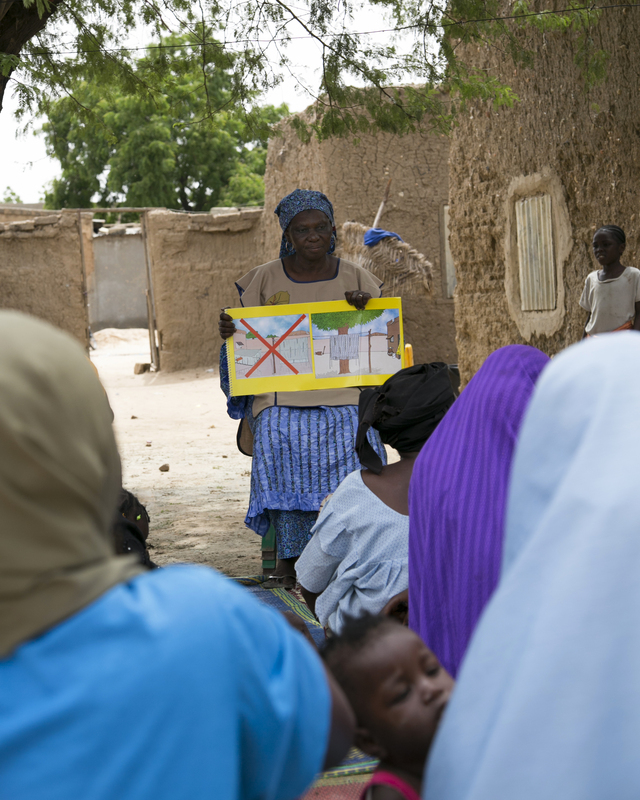 Malaria is preventable, and it’s her job to teach people how to protect themselves. Seydou’s work is part of an ambitious project led by Catholic Relief Services in Niger: Ensuring that about 17.5 million people sleep under long-lasting, insecticide-treated mosquito nets. CRS, in collaboration with Niger’s Ministry of Health and our local partners, distributed more than 5 million mosquito nets in May 2015. Since 2 people are expected to sleep under each net, more than 10 million people in the regions of Tahoua, Maradi and Zinder will be protected from malaria-carrying mosquitoes during the insect’s most active hours—from dusk to dawn. This latest distribution expands our prevention efforts. With funding from the Global Fund to Fight AIDS, Tuberculosis and Malaria, CRS had previously worked with the ministry of health and several local partners to distribute about 1.6 million mosquito nets in the regions of Tillabery and Dosso. In addition to preventing malaria, the nets save families money and worry. Seydou teaches families to go under their mosquito nets as soon as night comes, and to keep their homes free of standing water. And community members are seeing results. 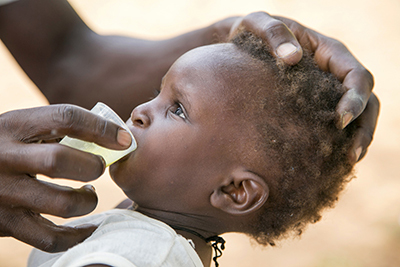 CRS is also delivering medicine to young children who live in areas at risk for a seasonal surge in malaria. UNITAID, a global health initiative that funds HIV/AIDS, tuberculosis, and malaria projects, has awarded up to $67 million to CRS’ partner Malaria Consortium, to oversee the largest-yet global program to increase access to antimalarial medicine for children. The medicine, also known as seasonal malaria chemoprevention, or SMC, will be distributed across seven countries of the Sahel region of Africa. CRS is a member of the 3-year ACCESS-SMC project, working in The Gambia, Mali, Niger and Guinea. Seasonal malaria chemoprevention is a relatively new approach recommended by the World Health Organization since 2012. It involves the regular administration of antimalarial medication during the rainy season to children between 3 months and 59 months, the age group most at risk for severe illness and death. Children are given antimalarial treatments once a month throughout the high-risk season so therapeutic drug levels remain in their blood. WHO estimates that SMC can prevent 75% of malaria cases. But in 2013, only 3% of eligible children received treatment. The treatment is cost-effective and can be administered by community health workers in often-underserved rural areas. The ACCESS-SMC project will provide up to 30 million SMC treatments annually to 7.5 million children. While CRS is implementing SMC in countries like Niger, the project’s ultimate goal is to make this important new treatment more widely available.